Very likely, you’ve already seen many guitar lessons and methods, and perhaps have had a teacher or two. 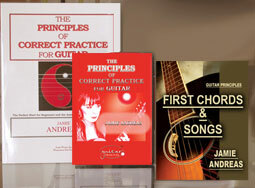 Why have none of these resources given you what you need to build this first level of success on guitar? Knowing the answer to this question is vital, because it is going to show you what is missing from all those wonderful guitar lessons you are trying to learn from. Whether you are beginning, or recovering, you need to know these things so that you can avoid these pitfalls, and travel firmly on the path to real guitar success that I will show you. Watch this short video and you will get a good understanding of why the guitar instruction you have had so far has not given you the essential First Level of Success On Guitar! 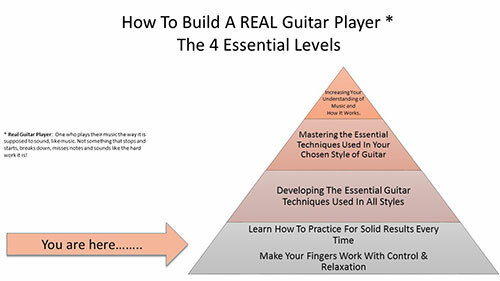 The ONLY guitar training method that sets you up for SUCCESS, instead of failure! This package is best if you are beginning to learn guitar. 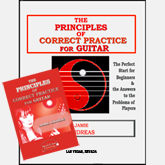 The "Principles" book & DVD will show you exactly what you need to know and do to train your fingers for relaxation & control, and get solid results from every practice session. 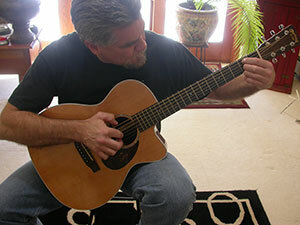 "First Chords & Songs" to teach any beginner their first chords PERFECTLY! This package is best if you can already play but are stuck in your progress.